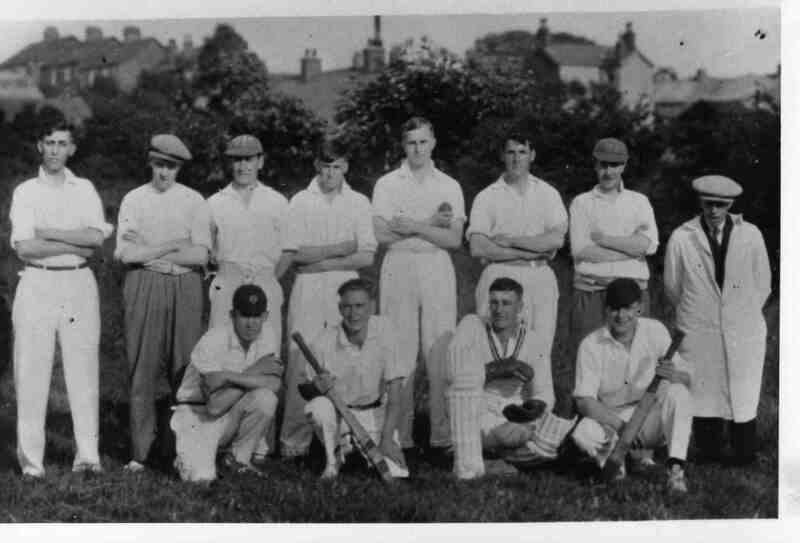 Church Lads’ Cricket Team. See note below. Photo courtesy of V. Hopkinson. Front row, far right could be my Dad, Ernest George Taylor. He worked at the Co-op Bakery at that time and left about 1937 to become manager of the Co-op Bakery in Eckington. His grandfather, George Snowden, had a grocery/pork butcher’s shop on Bridge Street, together with his mother, Emma Jane Snowden. He lived to the ripe old age of 93. Would love to hear more about the club from around 1910 onwards. My Grandfather was chairman for sometime. The Milners were a large family and their home was on Forge Lane. Visited the hose last year and an old lady in the lane remembered the Milner familty living there. Front Row (left to right): Charlie Hall, ? ?, Harold Wardley, ? ?